International ASET Inc. is proud to present Prof. Luigi Benedicenti and Prof. Zheng Liu as the Congress Chair and Co-Chair for the 5th World Congress on Electrical Engineering and Computer Systems and Science (EECSS'19). Dr. Luigi Benedicenti received his Laurea in Electrical Engineering and Ph.D. in Electrical and Computer Engineering from the University of Genoa, Italy. 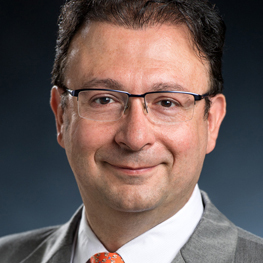 A full professor and dean in the Faculty of Computer Science at the University of New Brunswick, Benedicenti previously served as Associate Dean in charge of Special Projects and as Associate Vice-President (Academic) at the University of Regina. He is a Professional Engineer licensed in Saskatchewan and a licensed Italian Engineer. He created the Software Systems Engineering Program at the University of Regina and became its founding Program Chair. He led the accreditation process for the new program and was subsequently entrusted with the supervision of data collection and computation for all Engineering programs. Benedicenti has more than 130 international peer-reviewed publications and has supervised more than 50 graduate students. He is familiar with the Tri-council grant system, the European Union system and the United States National Science Foundation system, having participated in the process as an applicant, a mentor and a reviewer. Benedicenti’s current research is in three areas: Software Agents, Software Process, and New Media Technology. Research in Software Agents involves the characterization of software agents and the best applications for the agent model. Research in Software Process aims at characterizing the influence of affect in agile development methods. Research in New Media Technology is directed towards enhancing the understanding of digital communications. A supporter of interdisciplinary work, Benedicenti has developed and supported numerous academic partnerships within the University and with international partners. Benedicenti believes in collaborative environments, clear responsibilities and a strong motivation for success. Dr. Zheng Liu received his first doctorate in engineering from Kyoto University (Japan) in 2000 and earned a second Ph.D. in electrical engineering from the University of Ottawa in 2007. From 2000 to 2001, he was a research fellow with the control and instrumentation division of Nanyang Technological University, Singapore. He joined the Institute for Aerospace Research of National Research Council Canada (NRCC, Ottawa) as an NSERC governmental laboratory visiting fellow in 2001. From 2002 to 2012, he served as a research officer for NRCC. From 2012 to 2015, Dr. Liu worked for the Toyota Technological Institute (Nagoya, Japan) as a full professor. 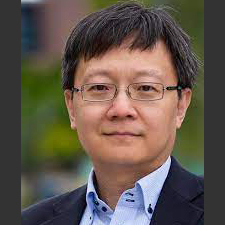 In 2015 fall, he returned to Canada and joined the University of British Columbia Okanagan and established the “Intelligent Sensing, Diagnostics, and Prognostics Research Lab.” He is currently an associate professor at the School of Engineering. Dr. Liu is serving the editorial boards for five peer-reviewed journals, including IEEE Transactions on Instrumentation and Measurement, IEEE Instrumentation and Measurement Magazine, Information Fusion, Machine Vision and Applications, and Intelligent Industrial Systems. He also served as a reviewer for numerous funding agencies, journals, conferences, and publishers. He is a senior member of IEEE and member of SPIE and holds the professional engineer license in both British Columbia and Ontario. Dr. Liu’s research focuses on data/information fusion, computer vision, machine learning, sensor techniques, structural health monitoring, non-destructive inspection, and prognostic health management. He received three best conference paper awards and participated numerous research projects with government agencies, industries, academic units, and research organizations.